Have you ever felt that there is a lot of art inside you, but a mouse limits you while pouring out your thoughts on screen? If your answer is YES, then you just have to make a small shift. 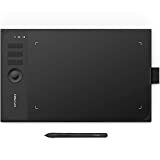 Replace your mouse with one of the best drawing tablets and see how it makes your job a lot easier and adds more fun to it. A drawing tablet along with the stylus gives you good control over your design skills. You can draw, sketch, paint and re-touch designs very efficiently. Many types of drawing tablets are available in the market. But with many choices available, you may get confused and feel lost. 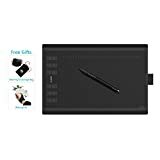 To make this decision-making easy for you, we have come up with a list of “Best 10 drawing tablets in 2019”. As you read through to the end, you will have a good amount of knowledge to make the best choice. So let’s dive in a get some information. 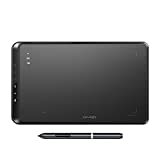 This graphics tablet with a sleek and compact look is a perfect choice for the beginners. It comes with a pressure-sensitive pen to draw thicker and thinner lines depending upon the intensity of pressure applied. It also has four customizable keys which speed up the task of undoing or copy/paste. It comes with a free Draw Pack and online tutorials. 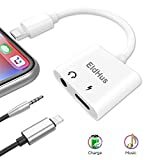 It is compatible with any software on Mac or PC. Would like to have a large drawing space to express your creative thoughts? All right, then this tablet with 10 x 6.25 inches large surface will never make you stick to your boundaries. The surface has a papery texture, which allows you to show your creative talent effortlessly. It gives access to a number of useful functions like zooming in and out, erasing, scrolling etc. through 8 customizable buttons at the sides and 16 hotkeys along the top. It comes with a black glove to reduce friction between your hand and the tablet and also a carrying bag to keep the tablet safe from scratches. 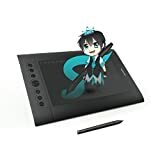 This brilliant tablet can be widely used for 3D program design, industrial design, image editing, digital graphics drawing, online education, comic design and animation design fields. It is compatible with Windows XP, Windows Vista, and MAC. It has a built-in card reader and comes with an 8GB MicroSD card which can be extended b up to 64GB. It has a large and comfortable surface area with a pen pressure of 2048 levels. It has a High Resolution of 5080 LPI, which ensures low distortion, resulting in very smooth and accurate lines. 12 physical express-keys on the left and 16 soft keys on the top for a number of key functions. The Star 06 is a unique tablet as it has both wired and wireless USB capability. It has a lithium battery, which can be charged quickly during wired use and lasts up to 16 hours. The battery-free stylus does not require charging and features 8192 pressure levels. It includes a 4GB flash drive as well. All in all, it is designed for professional designers to showcase their talents in the best possible way. The Star05 also has both wired and wireless USB capability. Its lithium battery gets fully charged in 2.5 hours when in wired use and lasts for up to 14 hours. The drawing area is 8 x 5 inches, which is sufficient for drawing and painting comfortably. The battery-free stylus with 2048 pressure levels gives an uninterrupted performance. 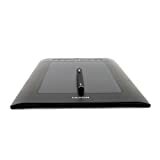 This tablet has an LCD screen and provides functions for sketching, painting, designing, and editing. It has a large screen with 19 inches active area and has an adjustable stand which adds value to this tablet. Due to this stand, you can adjust the angle of the screen and work comfortably. It has a resolution as high as 1440 x 900, which helps to produce crisp designs. This tablet has an exclusive feature of multi-touch gestures, which allows you to navigate scroll and zoom with your fingers. Its compact size of 8.25 x 6.7 inches gives it very neat look. You can sketch, ink, and color frames using a pressure-sensitive pen and tablet. The battery-free pen helps to draw thick and thin lines as per your choice. This tablet is a powerful tool for creative people. You can use simple multi-touch gestures to zoom, scroll, or navigate through your artwork. The 4 customizable Express Keys gives access to the functions you need most often. With such a wonderful product you can keep on creating beautiful designs. 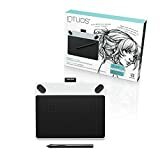 For an expert and professional designer, this tablet will be a good choice as it is compatible with major drawing programs in Windows and Mac. It has 8 customizable keys on the left and 16 hotkeys on the top for efficient work. The pen is cordless and lightweight and can work continuously for 600 hours. Eight express keys and 16 hotkeys. Designed for left and right-handed users. 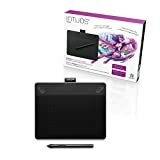 This is another good tablet for beginners who are aspiring to become successful artists. 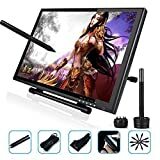 Easily draw, sketch and paint on your computer with the use of a pressure-sensitive pen. A wireless adapter kit is also available with this tablet. The four customizable Express Keys put your favourite shortcuts at your fingertips. Art Rage Lite downloadable software allows you to get started with the tablet. The creative and ingenious designer in you deserves the right tools to display your talents. 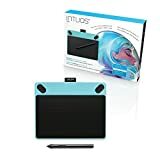 These 10 drawing tablets will serve their purpose well and help you to achieve all your unattainable goals. So without wasting any further time, go and get the best one suitable for you.